Tessa Grant was one of Jocelyn “Josh” O’Roarke’s greatest heroes. She was Josh’s mentor in school and a continued inspiration throughout her career. When Tessa’s death from an apparent heart attack leaves her production of A Winter’s Tale at Josh’s alma mater without a Queen Hermione, Josh jumps at the opportunity to help out, taking over the role. But when she arrives at the school, Josh finds a journal among Tessa’s possessions with something major to say: Her death was no mere heart attack. Now determined to solve the case, Josh runs into Frankie Mauro, her old roommate, and Phillip Gerrard, her old flame. With their help, she must navigate the labyrinthine world of backstage politics, not only to find the killer, but also to convince the world that her mentor’s death was actually murder. 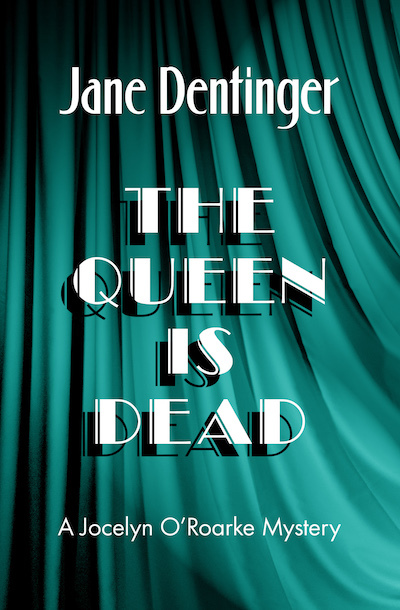 The Queen Is Dead is the fifth book in the Jocelyn O’Roarke mystery series, which begins with Murder on Cue and First Hit of the Season.